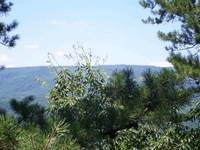 Spacious "Custom Built" Honeymoon Cabin with Awesome Mountain Views! 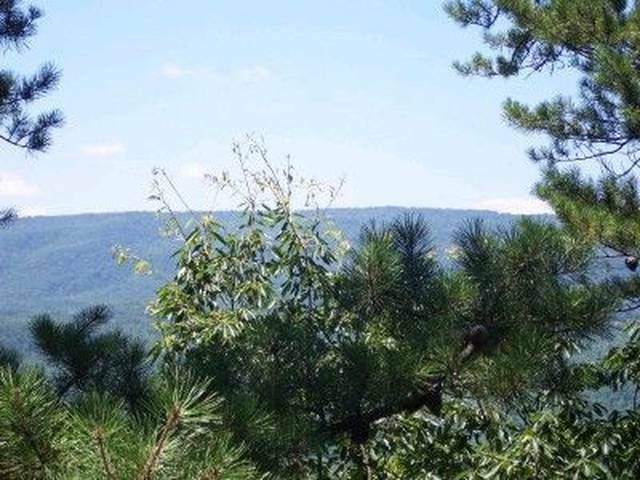 Are you dreaming of cool Smoky Mountain breezes? Then you will love Above the Rest, where the natural and serene mountain top setting is guaranteed to sooth your senses and relax your mind. The oversized covered back porch will become your favorite spot for relaxing in the hot tub, cooking on the charcoal grill and enjoying the beautiful Smoky Mountain sunsets from your porch swing. Step inside your custom built log home and experience spacious vaulted ceilings, QUEEN SLEEPER for SMALL CHILDREN, a wood burning fireplace, log dining table and exquisite kitchen with top of the line appliances. Upstairs in the spacious open loft bedroom there is a king log bed and cozy sitting area which overlooks the living area below. The master bath features a whirlpool / tub shower, a great stress reliever. Above the Rest Cabin Rental is located minutes from all area attractions in Pigeon Forge, including Dollywood, Splash Country and dinner theaters. Pack a picnic and head to the Great Smoky Mountains National Park where you can swim, tube and enjoy one of the few National Parks for FREE! 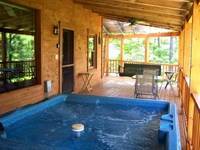 Call 865-453-0788 for last minutes Pigeon Forge Cabin Rental specials!! !